…My organisational skills need a good brush up! I have a new dyslexia related blog project in the works and I am looking for enthusiastic dyslexic people to take part! The blog is called Dyslexia: Dysassemble. I have met a lot of wonderful people trying to show the world what dyslexia actually is! The positive bits, the bits of struggles, the funny bits and the not so funny bits. We can be found all over the world on various sections of social media pushing for changes to the way dyslexia is perceived. I thought that creating a blog where all these talents could come together and add at least one blog per month would help to show the world just how diverse a bunch of people we are! Our different talents, the different things we are trying to open people’s eyes to. If you would like to join the team, then please head to The Communication System and fill in the form with why you would like to join in and what you are hoping to contribute. At this point I would like to add that this does NOT have to be a written format, it could be a piece of art, music, photography etc that shows your own dyslexic positive trait. I know that writing is not a strength for some dyslexic people and I want this blog to play to our strengths! Under 18s are more than welcome to join the team too, but I would really like a parent to contact me first so we can find the best way to highlight your talents but to also keep you safe! Especially with the team profiles etc. I see the shadows move. The letters on the page. As the disco lights begin. #UKBA15 – UK Blog Awards 2015! 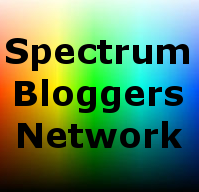 So, as I said the other week, I have been nominated in two sections for the UK Blog Awards 2015! I am truly humbled and honored to even receive one nomination, so thank you all very much. I would love you all to show me a wee bit of support by voting for Dyslexia and Me so I can go through to the next stage where the judges decide! Scary stuff!!! All you need to do is to go to the links and fill in your name and email address and in doing so you will make me a very happy bunny indeed! You have until Monday 1st December 2014 to vote! Positive Dyslexia Tweets this Thursday! We’ll be tweeting about the positives of dyslexia amongst other things. So if you’re on Twitter come and join in on the fun this Dyslexia Awareness Week!